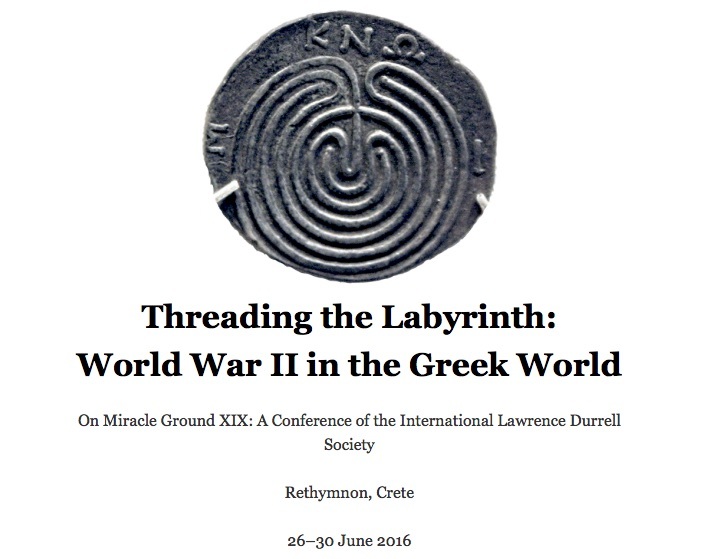 The Lawrennce Durrell conference will be held at Rethymnon in Crete this June. 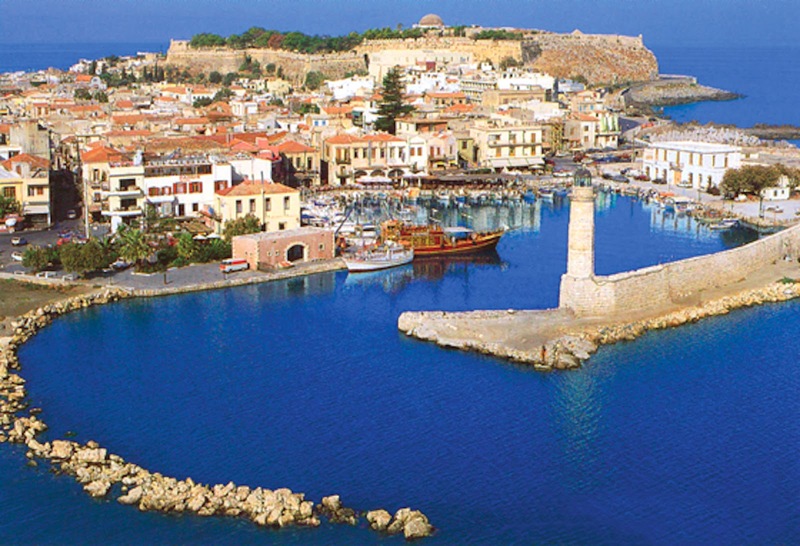 At the end of June I will be at Rethymnon in Crete where I will be giving one of the keynote talks at the opening of the International Lawrence Durrell Society conference. The theme of the conference is the Greek world during the Second World War. 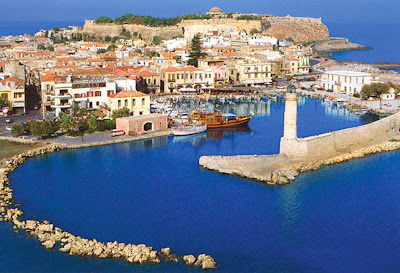 At the German invasion of Greece in 1941, Lawrence Durrell with his wife and infant daughter made a perilous escape from the Peloponnese, sailing in an overloaded caique to Crete. From there they were taken by a naval vessel to safety at Alexandria, where he wrote Prospero's Cell about Corfu and began The Alexandria Quartet. Also while he was in Alexandria Durrell began The Dark Labyrinth (originally called Cefalù), set in a modern-day version of the legendary labyrinth at Knossos in Crete. In keeping with the wartime theme there will also be talks and excursions to do with Patrick Leigh Fermor whose SOE unit and members of the Greek resistance famously captured the German commandant of Crete and spirited him away into the mountains and eventually into British captivity in Egypt. I am pleased to see that during the conference Andreas Georgiadis will be exhibitng his wonderful drawings illustrating The Alexandria Quartet. More Journeys to the End of the Line: Travelling Through London atop Double-Decker Buses 24 and 11. 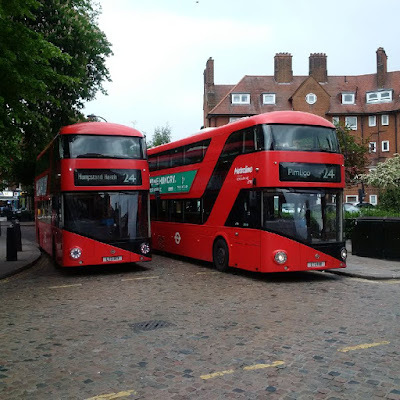 The 24 bus sets out from South End Green near Hampstead Heath. After my journey to the end of the Metropolitan Line at Chesham, I thought I would journey through the heart of London, first bisecting the city from Hampstead in the north to Pimlico on the Thames to the south aboard the 24 bus, then bisecting it again by more or less following the twists of the Thames from Fulham Broadway in the west to Liverpool Street in the east aboard the number 11 bus. Both these routes are operated by double-deckers so you can have a panoramic view from the front seat at the top of the bus. 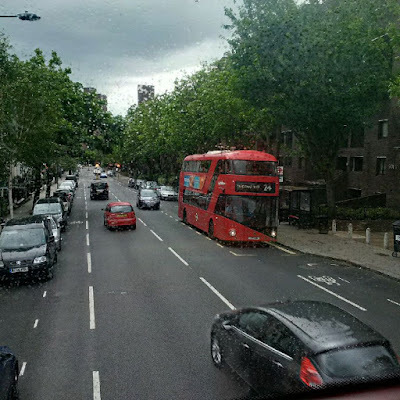 At the lower end of Malden Street, approaching Kentish Town and Camden Town, we pass another number 11 bus and honk our fog horns like ships passing in the night. 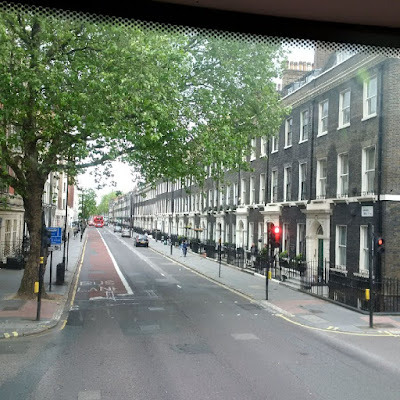 After passing University College London (which Thomas Arnold, headmaster of Rugby School famously called 'that godless institution in Gower Street' because it was the first secular seat of higher learning in Britain) we enter the lower end of Gower Street, full of small hotels and bed and breakfast places now but once fashionable. Lady Ottoline Morrell, grande dame of the Bloomsbury Group, lived on the left. Blue Plaque at 10 Gower Street. 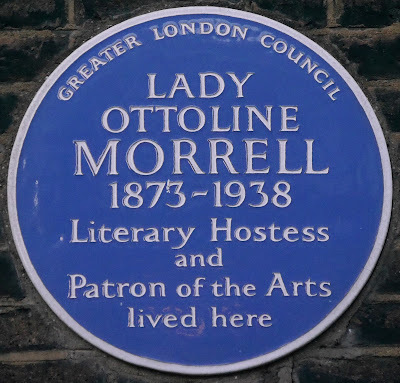 Lady Ottoline Morrell befriended many writers such as TS Eliot, DH Lawrence, EM Forster, WB Yeats and Virginia Woolf, and her lovers included Axel Munthe, Bertrand Russell and Augustus John. 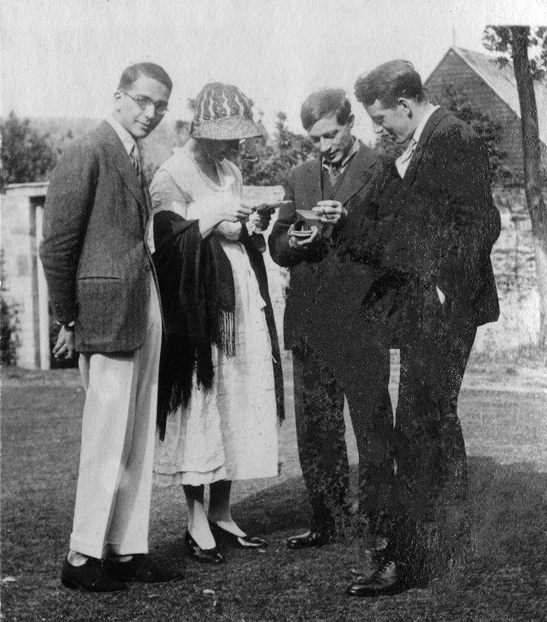 This snapshot taken by Ottoline Morrell shows from left to right Jean de Menasce, Vanessa Bell, Duncan Grant and Eric Siepmann. Menasce, a Jewish convert to Catholicism, theologian, Persian scholar and 'my best translator' in the words of TS Eliot after he did The Four Quartets into French, was the son of Baron Felix de Menasce of Alexandria, grandfather of Claude Vincendon, third wife of Lawrence Durrell. I write about this in my book Alexandria: City of Memory. Trafalgar Square invisible amidst people and pavilions for a classical music concert. 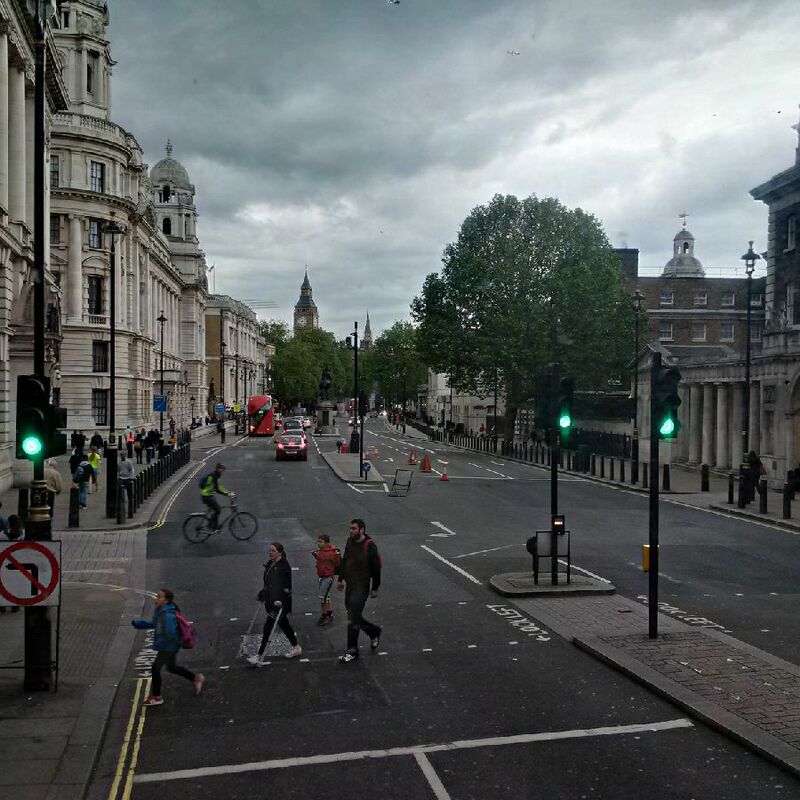 The 11 bus leaves behind Trafalgar Square and heads down Whitehall towards Big Ben and the Houses of Parliament. But at the first stop in Whitehall it develops a fault and everyone has to get off. As it happens the number 11 also passes this way so I hopped on and rode to Fulham Broadway. 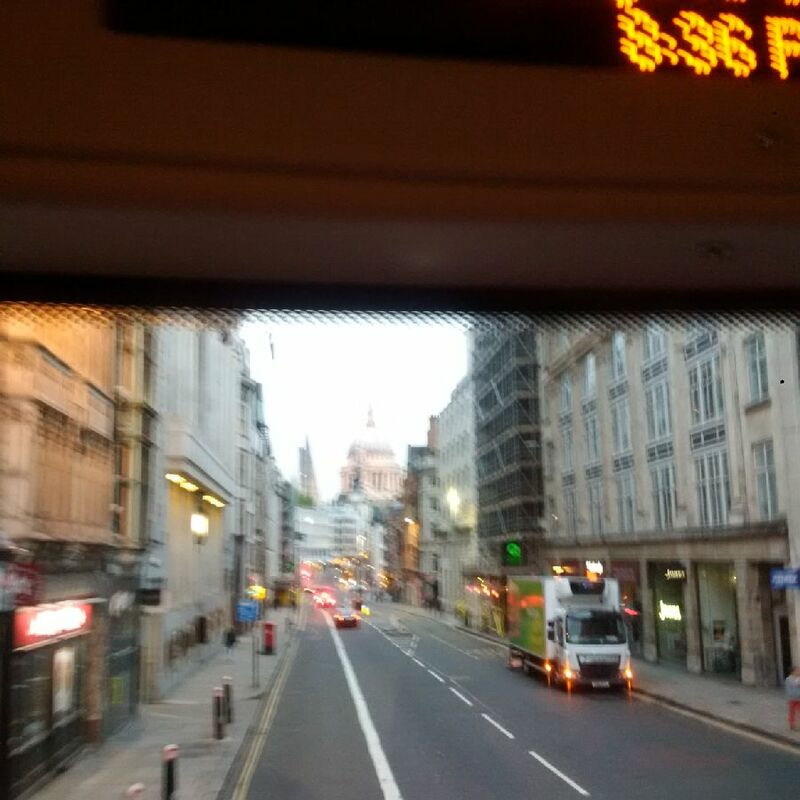 The 11 bus stops at Victoria Station then works its way towards Chelsea. 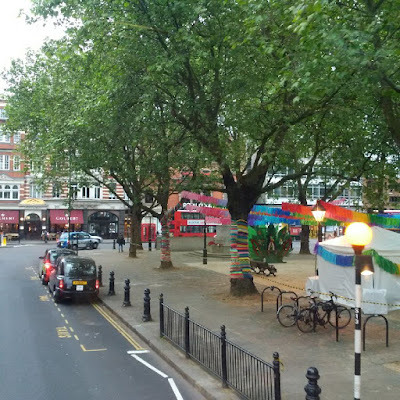 Here it runs along Orange Square at the bottom of Ebury Street and Chelsea Bridge Road. 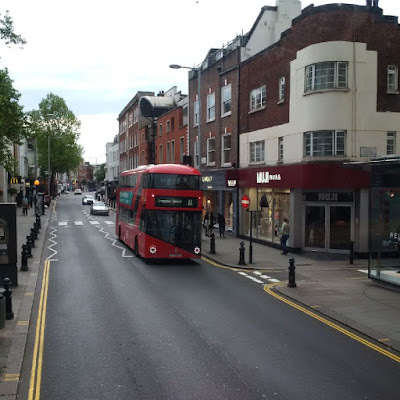 After passing through Sloane Square the number 11 makes the long straight run along the King's Road, sedate and quiet on a Sunday now but the centre of Swinging London any day of the week in the 1960s. And so into Fulham. Chelsea Football Club is up ahead and off to the right. 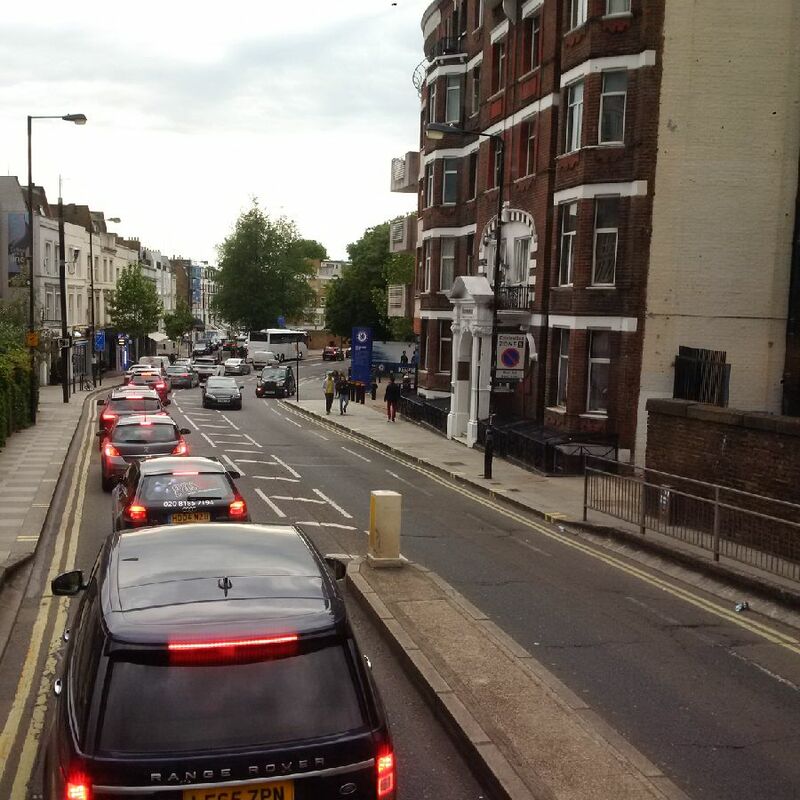 Fulham is what Kentish Town is to Hampstead, a thoroughly depressing place at the outer limits of civilised life. I did not trouble to take any photographs. Instead when the 11 came to the end of the line at Fulham Broadway I hopped off the bus and back on again (a ritual insisted upon by the driver who wailed he would lose his job if I stayed in my seat) to make the full journey across London to Liverpool Street Station in the east. Having got out of Fulham as quickly as possible I am now on the eastbound number 11 passing through Chelsea. 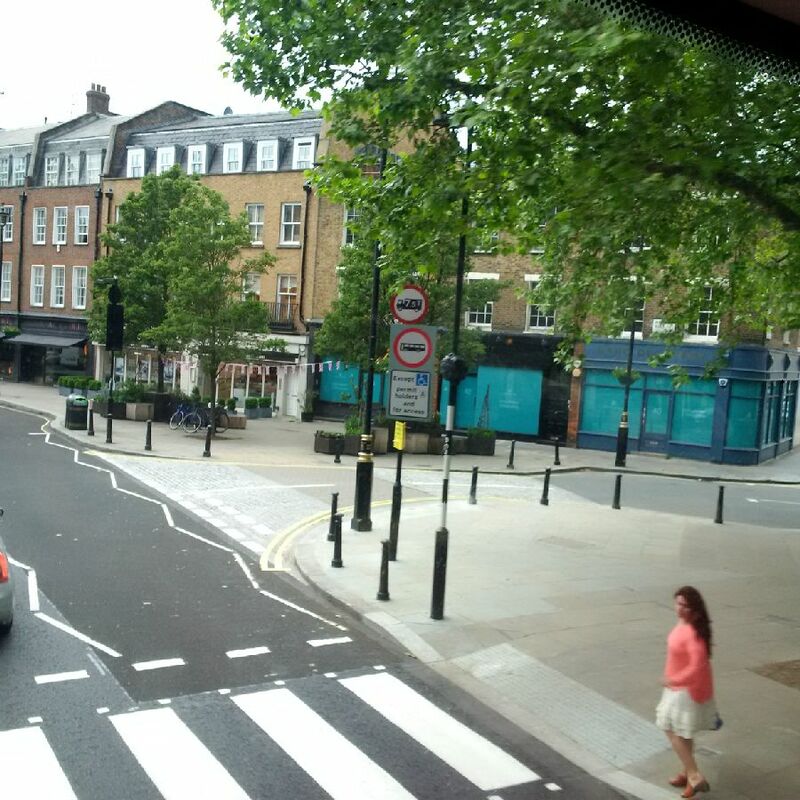 Once upon a time I lived in a second floor flat on the left here along the King's Road. Bus rides can be as much journeys through time as through space. 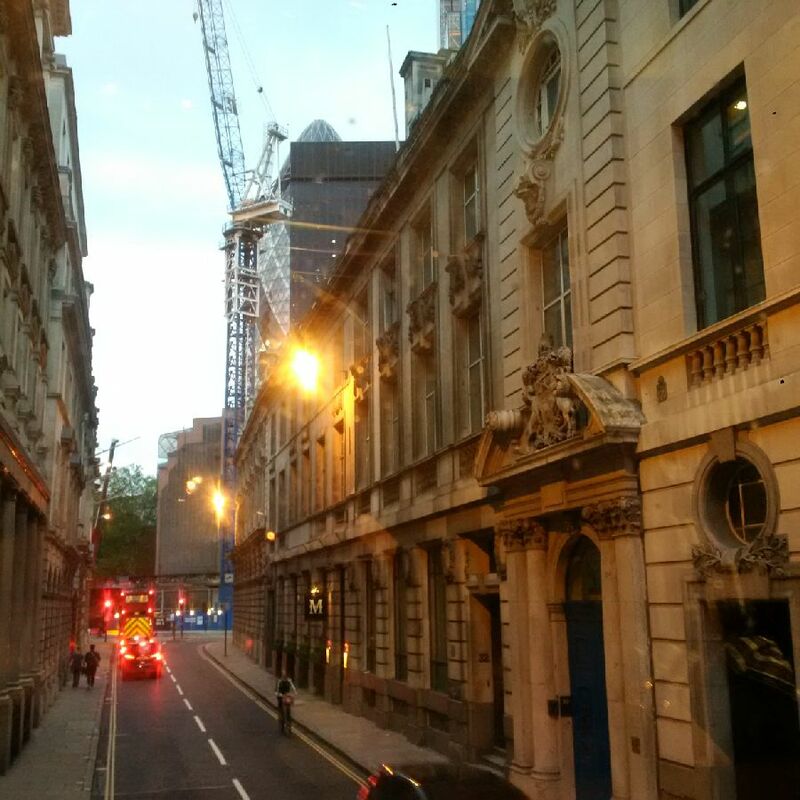 One of the things I love about London is that even today it is rarely more than three or four storeys high. 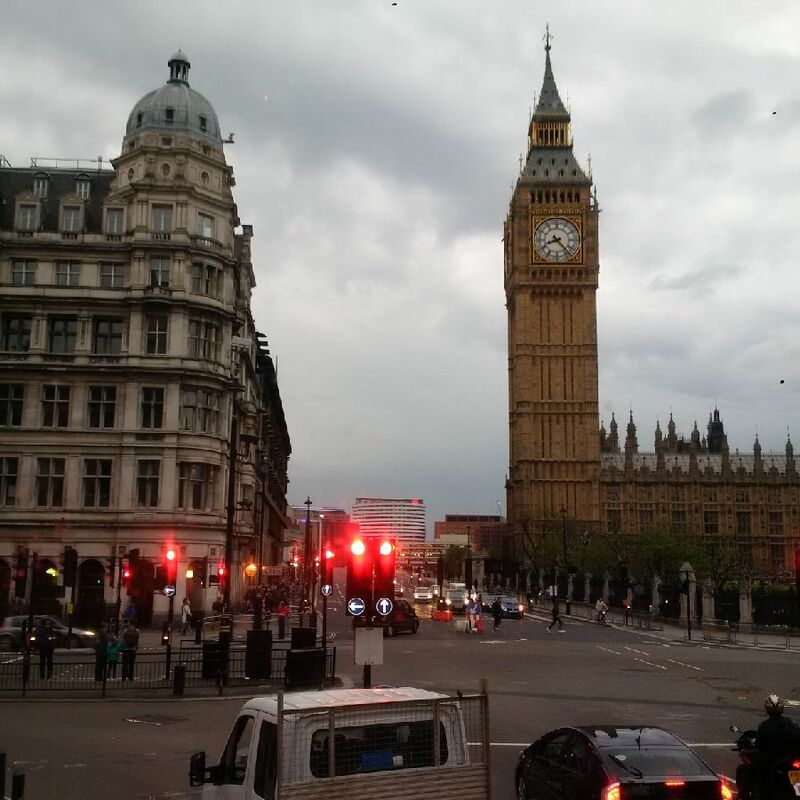 Such a great city, yet so entirely of a human scale. 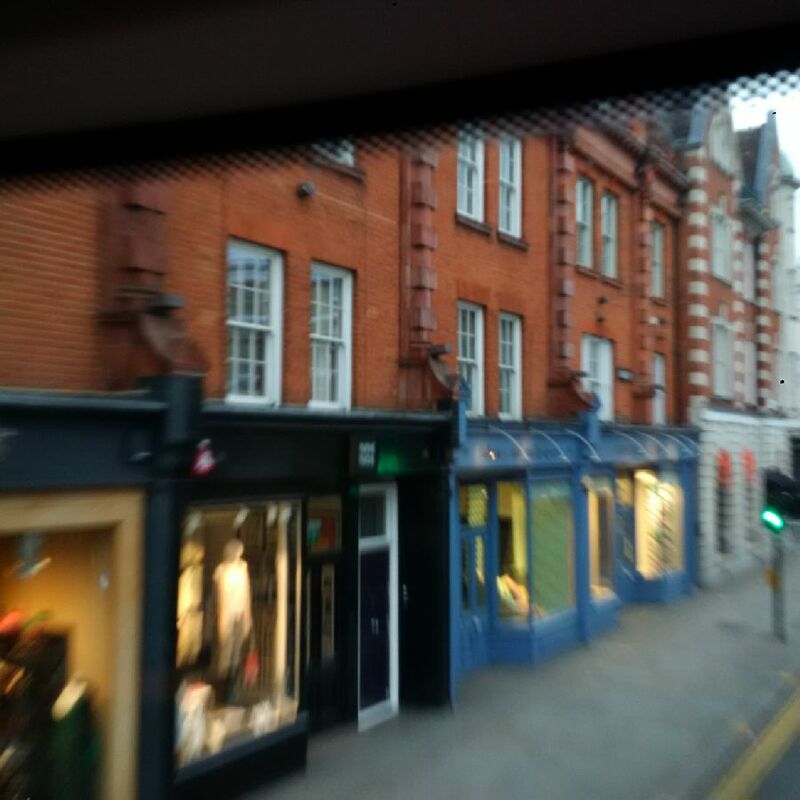 The bus carries us from one village in London to another village in London, each village complete in itself as Chelsea was for me. The King's Road as it approaches Sloane Square. 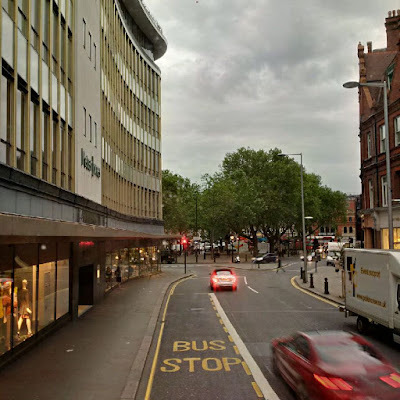 Peter Jones, a department store, is on the left; it is part of the John Lewis Partnership and therefore counts as paradise. Sloane Square. 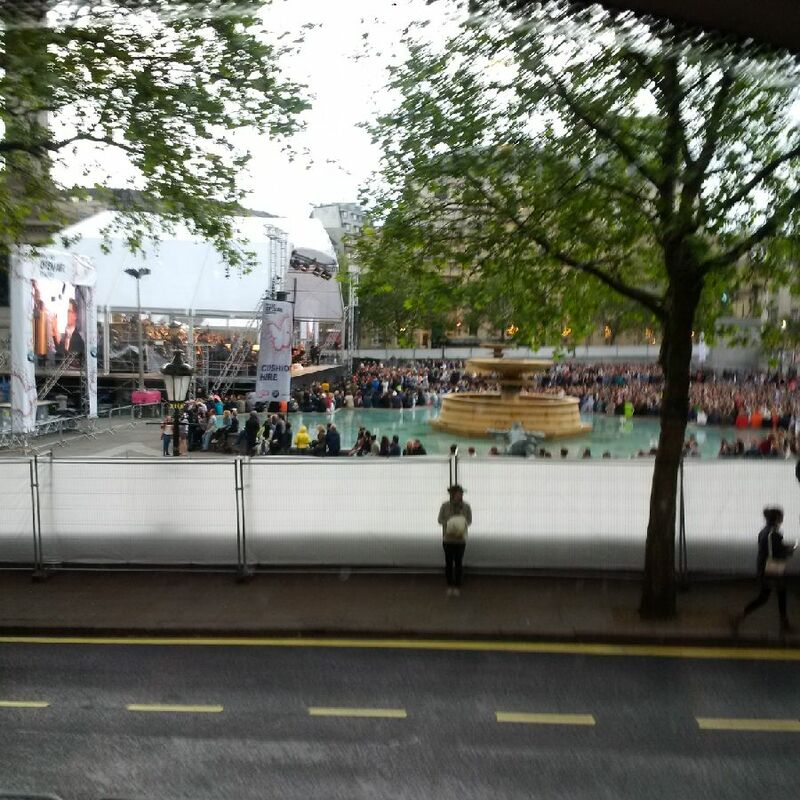 The Royal Court theatre is partly obscured by the red double decker bus at the centre of the photograph. Westminster Abbey and beyond it the Houses of Parliament with Big Ben. 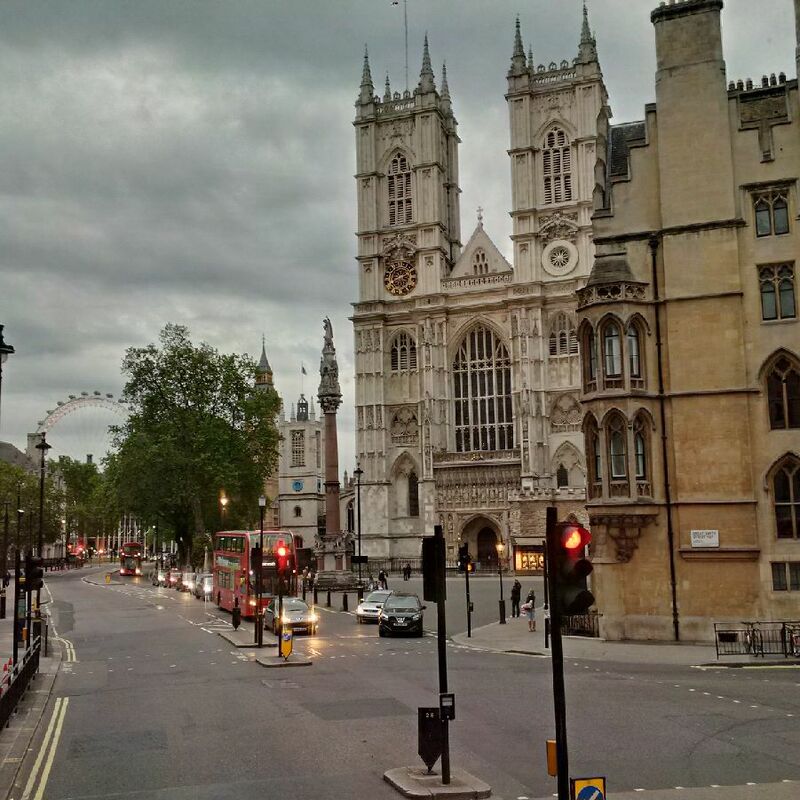 The 11 bus goes round Parliament Square and comes face to face with Big Ben before turning left down Whitehall. On the corner ahead, on the left, used to be a Lyon's Corner House. I remember going there with my grandmother when she took me atop the tower of Westminster Cathedral (not Abbey) along Victoria Street, then one of the highest vantage points in London. The waitresses who worked at Lyon's Corner Houses were called nippies. A Nippy photographed by Bill Brandt in 1942. 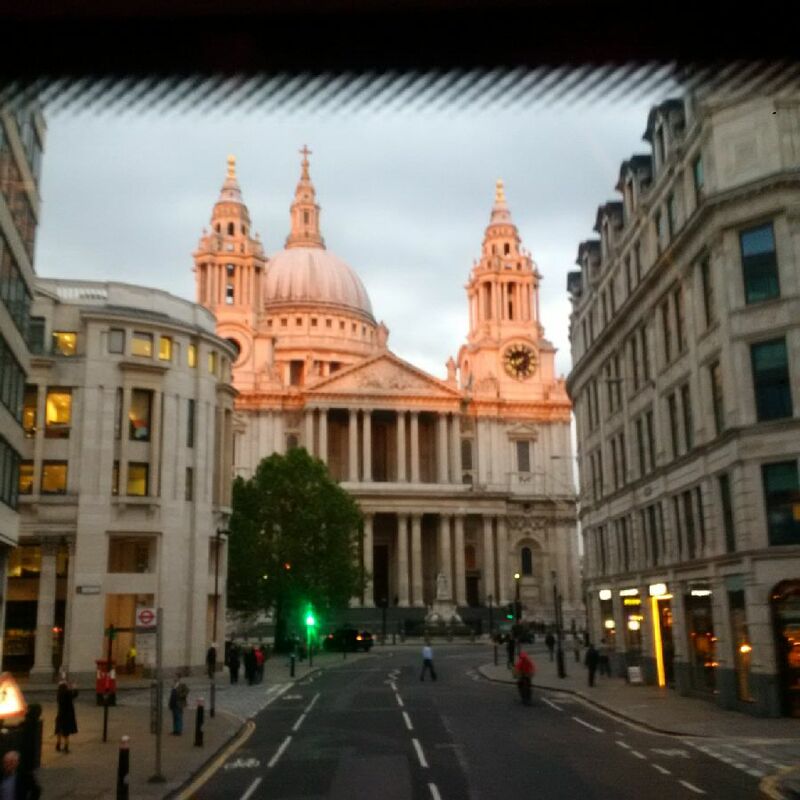 Late May and 8.36pm but still quite light as we zoom along Fleet Street towards St Paul's Cathedral. Up Ludgate Hill to St Paul's. Beautiful evening light. The Bank of England. It is protected by an equestrian statue of the Duke of Wellington out front. 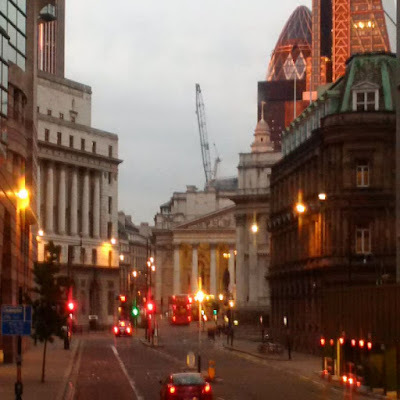 Behind it to the right is the ovoid Gherkin, a rare success of modern architecture. We are deep into the City of London now, which vies with New York as the greatest financial trading centre on earth, yet despite a few towering buildings much of it remains no more than four storeys tall. Likewise the name of this thoroughfare, Threadneedle Street, enjoys fame without grandiosity. 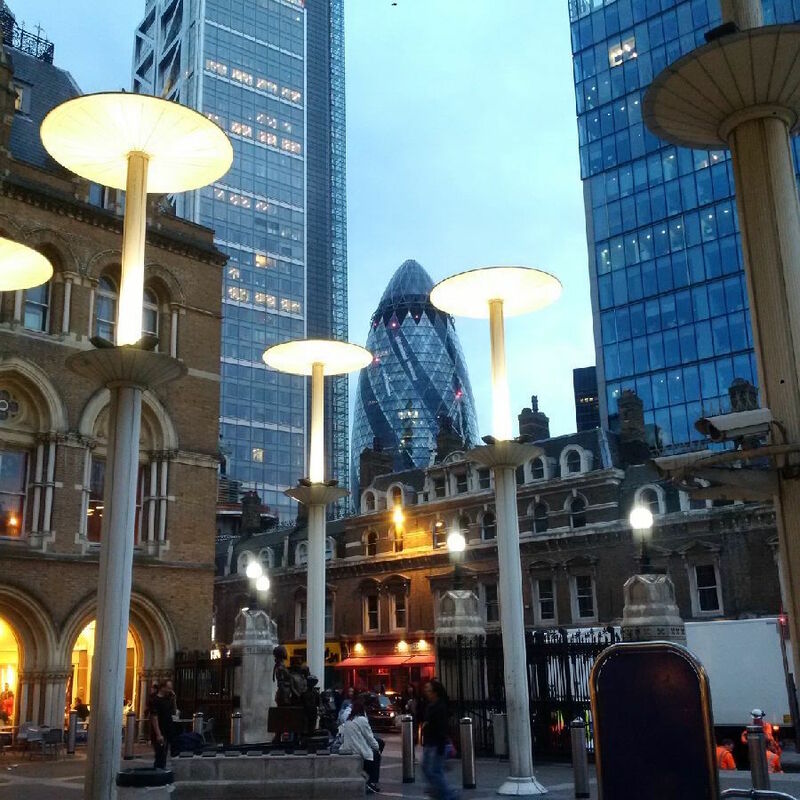 The forecourt of Liverpool Street Station, the end of the line for the number 11 bus. 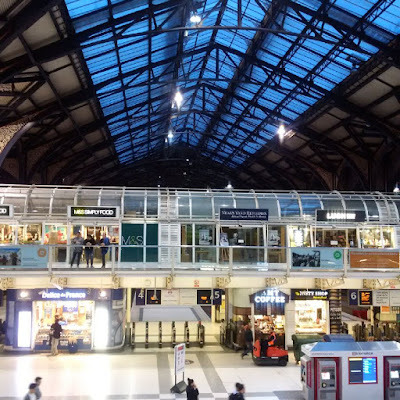 The area and the station itself succeed in blending the old with the new. 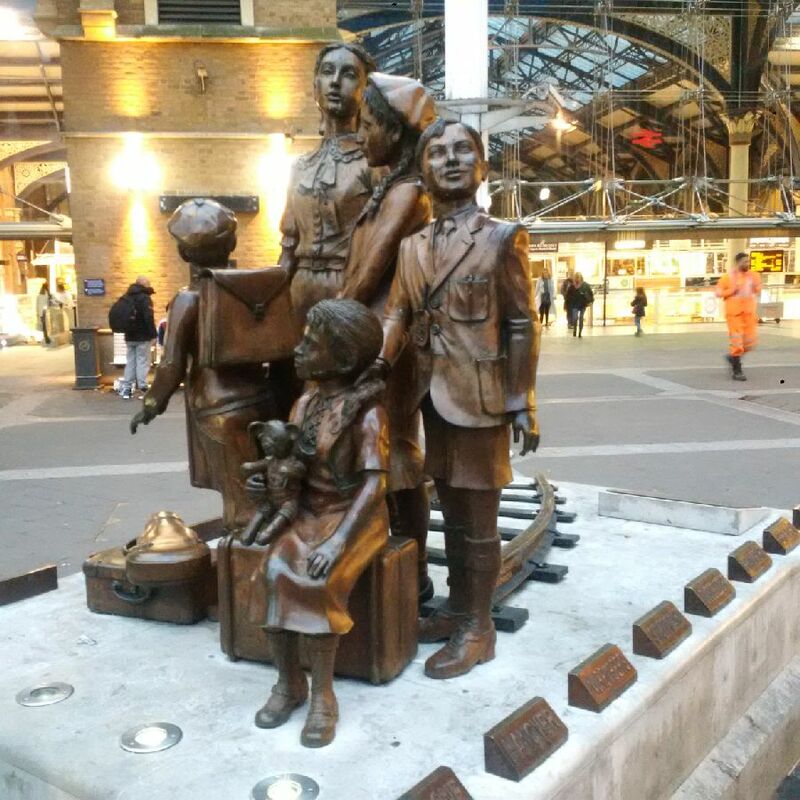 Monument commemorating the Kindertransport effort which rescued ten thousand mostly Jewish children from Germany, Austria, Czechoslovakia and Poland in the nine months leading up to the declaration of war in 1939. Private charities brought them by rail and sea to Harwich whence they came to Liverpool Street station and were placed with families or in orphanages for the duration. Often they were the only members of their families to survive extermination by the Nazis. 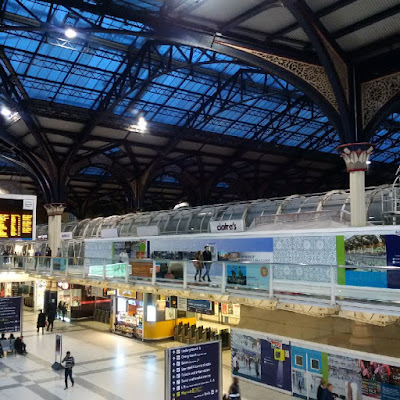 Liverpool Street station is both a mainline and an Underground station. 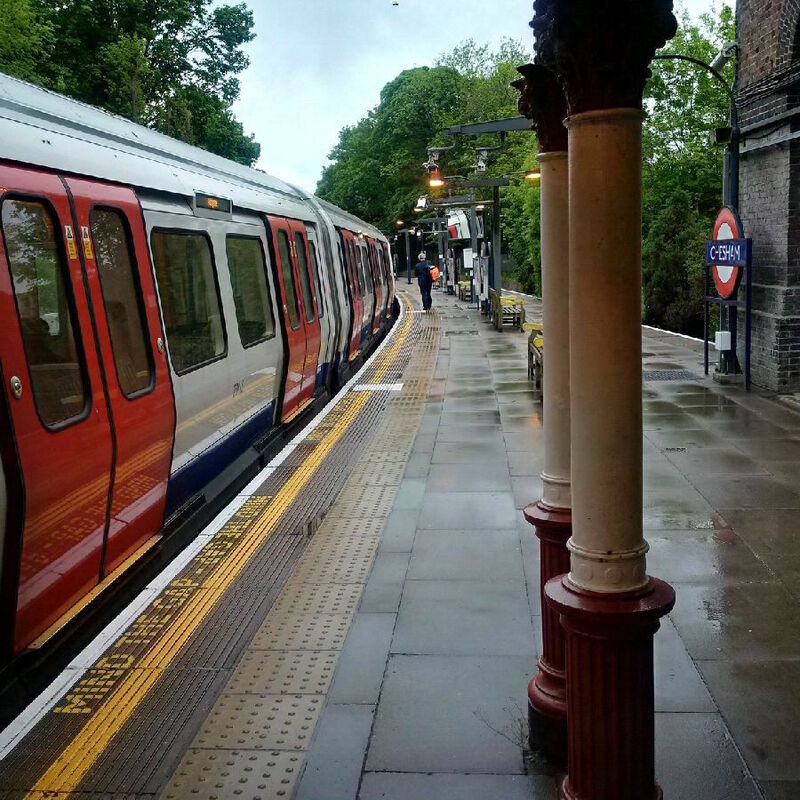 Modern terraces have been built into the old original arches of the station which date from 1874. 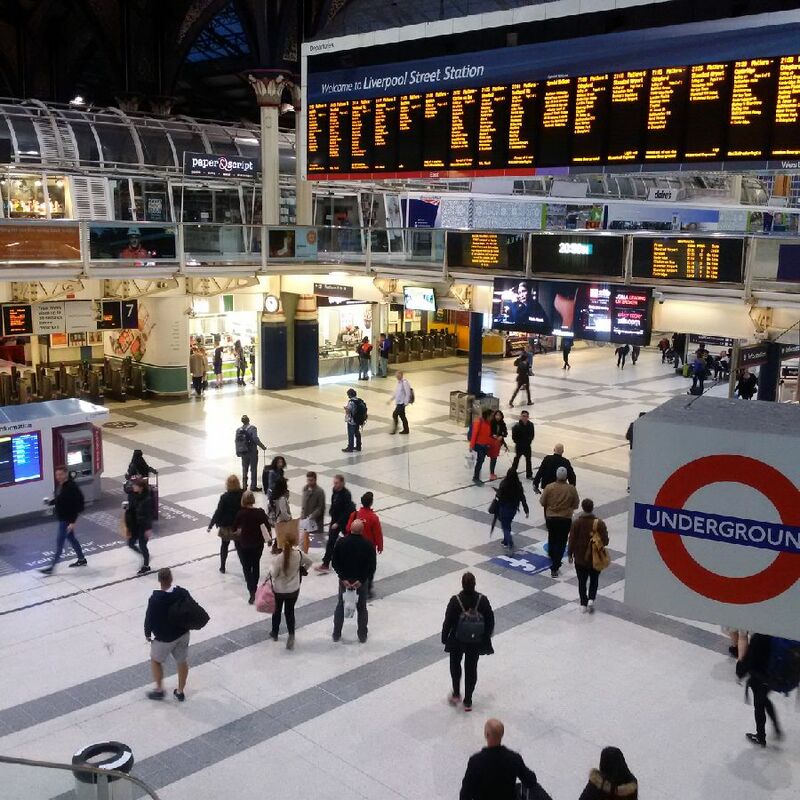 There are many ends of the line you can reach within and from London. For example, from Liverpool Street station you can catch the Metropolitan Line to Chesham. Aboard the Metropolitan Line Underground passengers are texting furiously as they travel overground to the outer reaches of existence. Yesterday I travelled to the end of the line. From Aldgate on the Metropolitan Line you travel for seventy minutes westwards and northwards through London passing through Liverpool Street, King's Cross and St Pancras and Baker Street, then emerging into daylight at Finchley Road before filling with football fans at Wembley Park and debouching them at Harrow on the Hill, until looking out the window you see green. 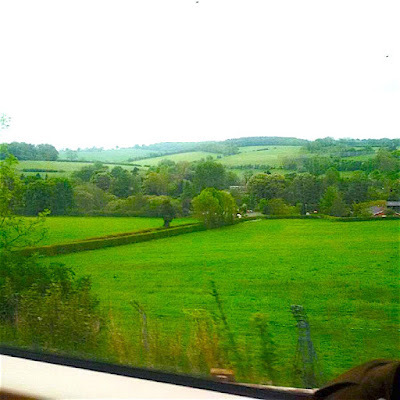 You see fields and farms and horses and cows. 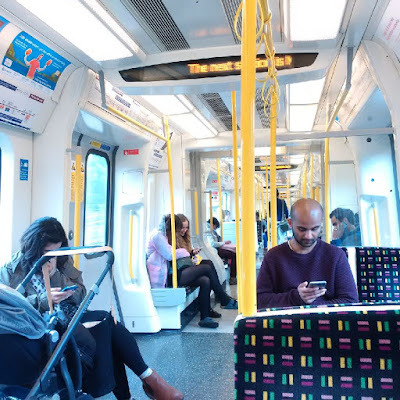 You are still inside the carriage of a Metropolitan Line Tube train but you are entering another universe and passing into the outer reaches of existence. 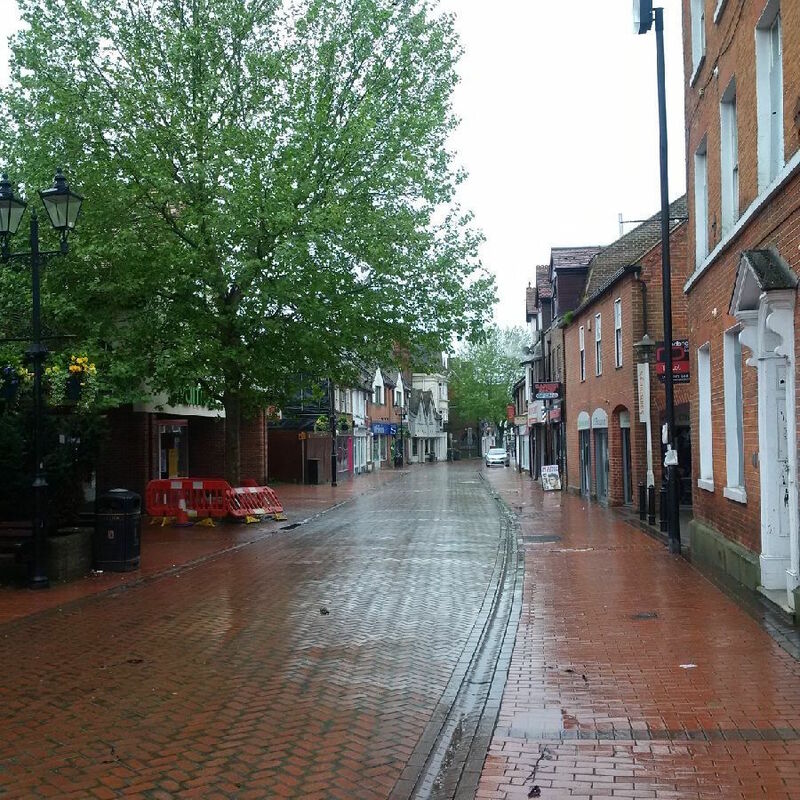 No streets, no litter bins, no recycling, no off street parking. 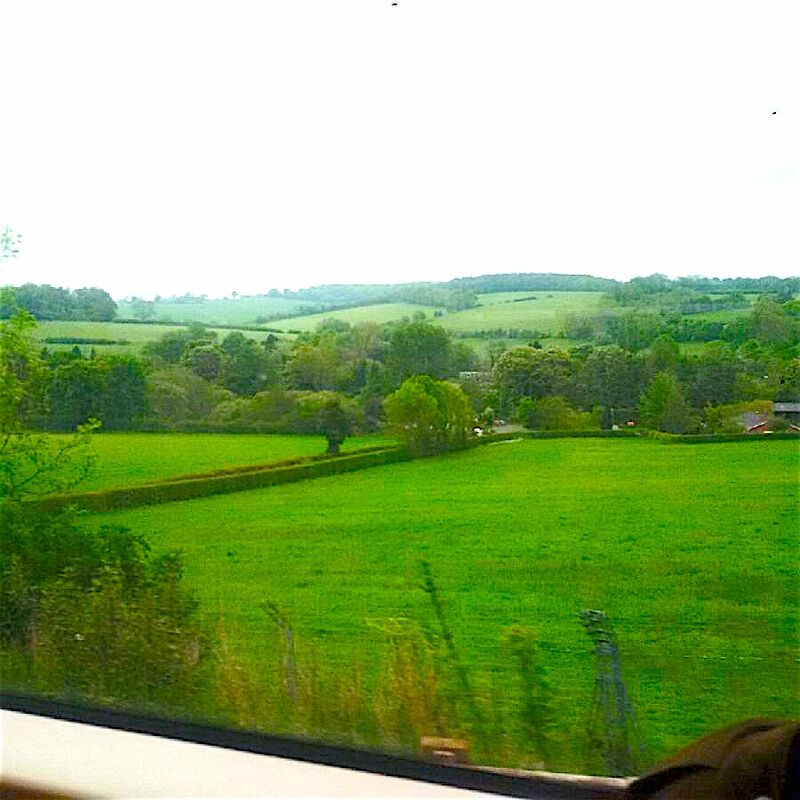 Instead from the window of the Underground train you see England's green and pleasant land. I travelled to Chesham for the hell of it. I like to see where the world ends. A few years ago I journeyed to Amersham on London Underground, again mostly above ground with views of cows, also to peer into the abyss that lies beyond London. 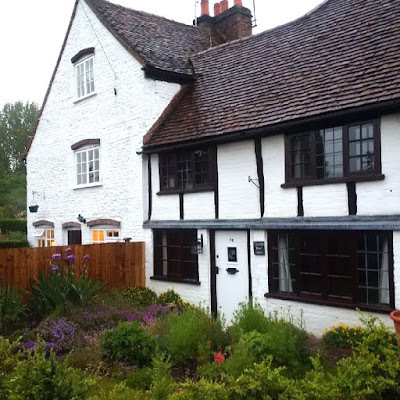 This cottage in Chesham is called the Old Poor House. There is no new one. Larry, Gerry and another member of the family. The following is an excerpt from the article by Alison Flood in today's Guardian. You can see the full article on The Guardian website by clicking here. A different light is due to be shed on the idyllic ramblings of Gerald Durrell and his eccentric family in Corfu in a new biography of the Durrells, due out next year. 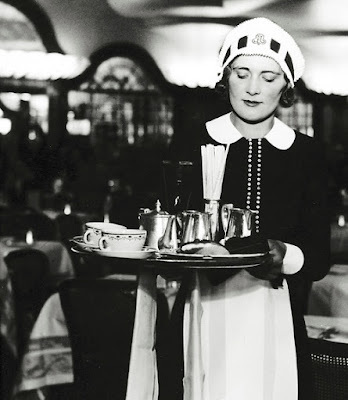 The Corfu trilogy, said Haag, is a mixture “of reality and invention”, with the new television series adding “another layer to that … of invention but also adding realities, like Louisa’s drinking, that were not there in Gerry’s accounts. And so a palimpsest develops and that becomes what the public knows. After I watched The Durrells and smiled, things happened. This article in The Bookseller tells what. The book will be published in spring 2017 to coincide with the second television series of "The Durrells". 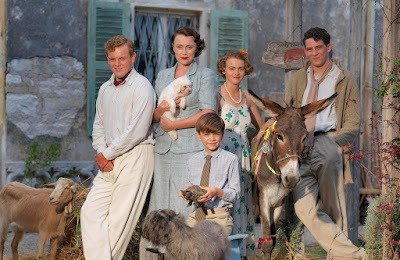 "The Durrells" is a six-part ITV drama television series based on the youngest son Gerald Durrell's three autobiographical books about his family's four years on Corfu from 1935 to 1939: My Family and Other Animals, Birds, Beasts and Relatives, and The Garden of the Gods (Penguin). 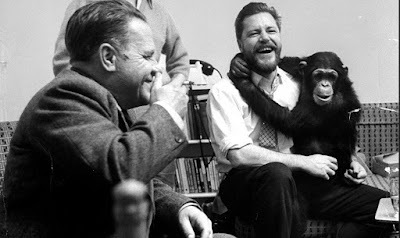 Ellingham said: "Michael Haag probably knows more about the Durrells than anyone alive. He knew and collaborated on books with the family. Michael originally proposed a Durrell family biography five or six years ago – and with seven million people now rediscovering the magic of their Corfu story, the hour has come." and The Templars: History and Myth: From Solomon's Temple to the Freemasons with Profile. He is the author of Alexandria: City of Memory, with Yale University Press, a composite biography of Forster, Cavafy and Durrell. To read the article on The Bookseller's web page, click here. Bear in mind that not everything is accurate. It never is. Larry, at the right, would have liked it that the series portrays him as a foot taller than he really was. I was avoiding looking at The Durrells, the new ITV series based on Gerald Durrell's Corfu Trilogy, the one-volume book comprising My Family and Other Animals; Birds, Beasts and Relatives; and The Garden of the Gods. But then someone phoned and said it was not without charm and so I took a peek. And I smiled. This is not another remake of My Friends and Other Animals; it also includes material from the other two volumes. And it contains more, some biographical material which alters the perspective entirely. What had once been exclusively a child's view of his family and Corfu now becomes a story seen from multiple views, from that of brothers Larry and Leslie, from sister Margo, and most particularly from that of their mother Louisa Durrell. For example in My Family and Other Animals Gerry mentions his father only once, first indirectly to say his mother is a widow, the second time in a brief exchange with a local who asks about his father and Gerry says his father is dead. And that is it, not only in My Family and Other Animals but in the other two books as well. Nor does Gerry ever mention the drinking habits of his mother. But the first episode of The Durrells opens with Louisa knocking back a large straight gin poured from a hidden bottle. Gerry had never explained why the family came to Corfu beyond a facetious scene in which Larry describes his family as medical specimens, all of them ill thanks to the English weather. And off they go to Corfu. But of course it was not like that, and the dead father and the heavily drinking mother were primary causes, and an effort to conserve the inheritance from Mr Durrell, and - strongly intimated in these opening scenes - Larry somewhat stepping into his father's shoes and taking responsibility for his mother and also for his small brother Gerry. Louisa holding the framed photograph of the real-life Lawrence Samuel Durrell, who 'selfishly', as she puts it, dies young and leaves her to raise the menagerie. 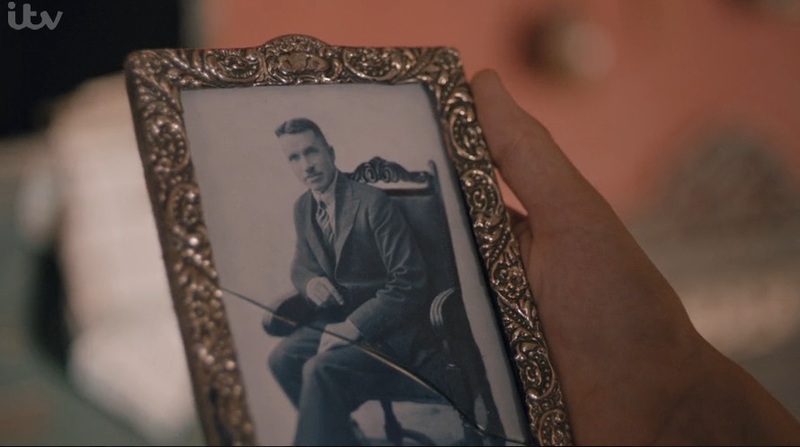 In each of the opening two episodes Louisa picks up a framed photograph of her dead husband suggesting that it is the loss of him that has led her to drink and led also to the chaotic and untameable behaviour of her children. The camera moves in on the photograph and it turns out that it really is Lawrence Samuel Durrell, a remarkable civil engineer who died young of a brain tumour. This was the event that brought the family first from India to England and then a few years later from England to Corfu. The story of the Durrells in Corfu, 'not without charm', began in tragedy. And for all the laughter, the amusing chaos, the seeming idyll, the tragedy was always there. The Durrells does not take this very far; we are still given the magic and the idyll; but it does intimate that something more was going on than Gerry would ever admit as he turned to his world of animals. 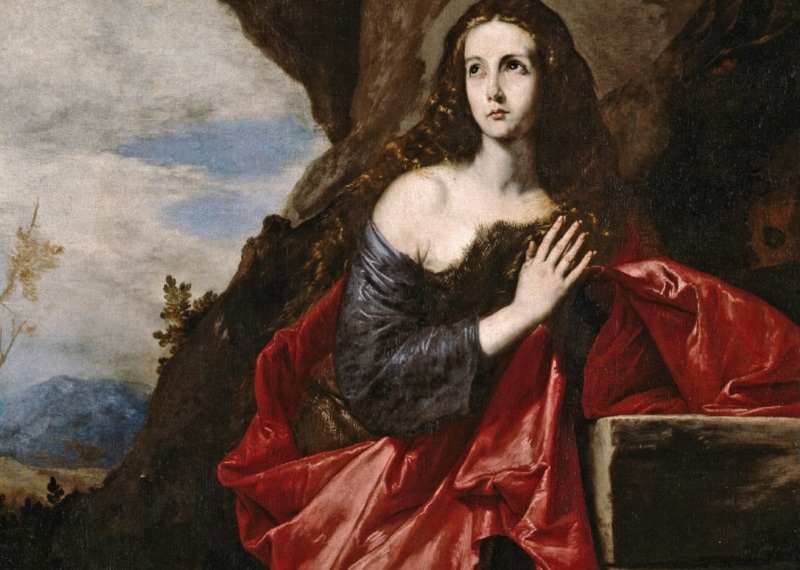 A review in the Catholic Herald of 29 April 2016 describes The Quest for Mary Magdalene as a 'well-researched and well-argued case for looking at the Magdalene with fresh eyes. As a bonus, the book is beautifully illustrated throughout with artwork from ancient to modern'. Mary Magdalene by Jusepe de Ribera 1641. You can read the article at the Catholic Herald online here.